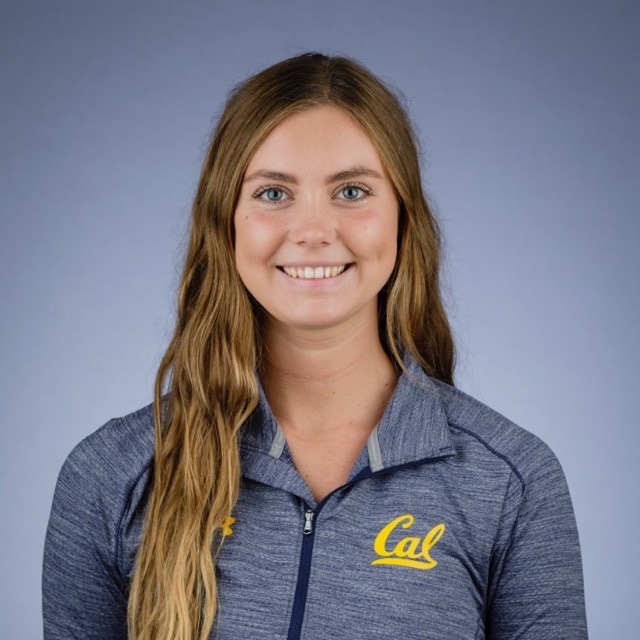 University of California, Irvine’s Mary Brooks found her passion for water polo at a young age and has had a lot of success as she wraps her water polo career this current season. While she is not from a top four team (USC, Stanford, UCLA and Cal), her dedication to the sport has earned her Big West Player of the year in 2016 and 2017 and opportunities to travel with the U.S. Senior Women’s national team. Swimming World recently caught up with Brooks for deeper insight into her water polo career, role-model coach and future plans. Swimming World: How did you first get into the sport of water polo? Brooks: My mom played water polo since she was eight years old all through college, so I grew up with the sport. My older siblings played also. I started swimming at about five years old when I lived in Las Vegas, and I loved swimming: I did it competitively for over ten years. I started playing water polo when I was eight, and it was just a fun thing. I loved to do it even though I was pretty bad, but I loved the team aspect and would always have so much fun at practices, so I continued on. When I first started, there was no women’s team in Las Vegas, so I always played with a bunch of boys. There were only about one or two girls on the team that were my age, but for the most part, we would be in boy’s tournaments. This really shaped how I am today as a water polo player and has made me a lot more tough. I played water polo and swam side by side all throughout high school, but I had a lot more opportunities water-polo wise, so I decided to continue with water polo in college. I have always loved the sport and it has always been such a big part of my life. SW: What made you decide to red shirt in 2018 after being Big West Player of the year in 2016 and 2017? Brooks: I decided to red shirt because it was something my coach asked me to do at the time. He approached me and just asked me to red shirt this past year, and it has really given me a chance to sit out and see the game from a different perspective. I think that was very valuable for how I am playing now. I am also an education major, so I am going to start working on my teaching credentials soon. It gave me the opportunity to take classes working towards that and set up for next year when I start my credential program. SW: What was it like watching the 2018 Big West tournament when the Anteaters upset Hawaii and not be in the water playing? Brooks: It was an awesome feeling, and I felt as if I was still part of the team. I had been with all those girls – especially all the seniors – for four years, and they were the ones I came into college with. We definitely weren’t the team that people ever thought was going to win. Every day we had the mentality and knew we could do it, and we knew we had the work ethic. Going into that Big West Championships, emotions were running high and there was a lot of excitement. Not being able to play was obviously hard, because I wanted to do as much as I could. I think being a part of it on the outside and being on the bench trying to hype everyone up, keep everyone calm but at the same time being excited and making people know that they could do it was something I will definitely never forget. I was probably more excited when we won that Big West than when we won Big West in the past when I was actually playing. It was a great feeling – I was very happy for them. SW: What was it like traveling with the U.S. Senior Women’s national team in 2017 as a member of a non-Big Four team? Brooks: That was an awesome opportunity. It is great being able to represent UCI and to represent not being from a top four school, because I know there are few people who have done that. They are such great girls and really welcome everyone into their family and team. They make everyone feel important, because there’s no real college team when you’re playing with them, and that’s just really special. SW: What is your relationship like with UCI coach, Dan Klatt? Brooks: It’s great. I am so grateful that he has been my coach, and I would arguably say he is the best coach that I have ever had. He cares so much about each and every one of his players – not only in water polo but also strives to set us up to to be the best version of ourselves outside of water polo. He’s a very competitive person, and that is what I have always loved and respect about him because I am also a very competitive person. He won’t stop until he gets the very best out of each and every one of his players. He creates bonds with his players that go deeper than just water polo. He has definitely always been a huge role model. He went to the same high school as I did, and I’ve always known his family. They are just great people. I know that Dan is one of the hardest workers, and I think being able to look up to him – as a coaching figure and also a father figure outside of the pool, and with academics – has been something that is very valuable for me. SW: UCI is on the forefront of investigation into concussions with athletics. What do you know about this research? Brooks: Our team did a trial with the organization and wore helmets with little censors for a UCI Fall Invitational. It tracked how many times you got hit in the head. We also did a concussion test before the tournament as a baseline and then a concussion test after. I think it’s awesome that we are getting a lot more investigative work, because obviously water polo is a pretty brutal sport and head contact is something that should not be taken lightly. SW: What are you most proud of? Brooks: One of my most proud moments was watching the team last year win the Big West Championships and being a part of that all year, and even though I wasn’t playing. Just watching all of them grow as players and individually. It is hard to say a specific proud moment, because even in years where we have not won a championship, I have still been very proud of the team. We are such a close-knit group that even if we don’t win a game or a championship, I know that we give it our all. Winning in 2017 in Davis during over time – we were all tired, but everyone kept pushing and pushing and not wanting to lose. I was definitely proud of everyone playing on that team. SW: What are your future plans going forward? Brooks: I am pretty much ready to be done with water polo after this year and start my career in education. I am really excited to finish up this season and have as much fun as possible, and this team has helped me with that. I’m excited to take a crack at another Big West Championship and see where we can go! -All interviews are conducted by the author and do not necessarily reflect the views of Swimming World Magazine nor its staff.